This month we are once again privileged to host Tina Bohlman! A Texas native, Tina Bohlman has used the state in which she was raised as both the inspiration and the canvas for her art. Mostly a self-taught artist, Bohlman works primarily in watercolor and occasionally in oil to create her breathtaking plein air paintings and brilliant rural landscapes. Almost every day, you can find me on location. 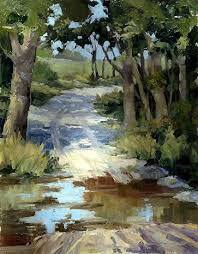 I believe to be able to paint a subject, an artist has to know it. For a landscape artist, direct observation on location is the primary way to become knowledgeable; to see the light and how it falls upon…or illuminates… a building or ground plane. She cultivated her natural artistic talent and her eye for beauty with great dedication and an insatiable desire to learn the techniques and history of the art. Bohlman has supplemented her independent study with workshops with some of the best artists in the field, including Jan Kuntz, Tom Lynch, Irving Shapiro and Jill Carver. This has served her well because as she describes, watercolor is a challenging medium. A veteran of numerous competition plein air and “quick draw” events annually, including, Plein Air Southwest-Outdoor Painters Society, Sedona Plein Air Festival-Sedona, Arizona, and Paint The Parks-Estes Park, Colorado, she prefers plein air rather than working in the studio. With this dedicated attitude and her skills and talent, Bohlman has made quite an impact in her field. Over the past thirty-five years, she has earned more than 60 awards, including a dozen First Place and four Best in Show titles. 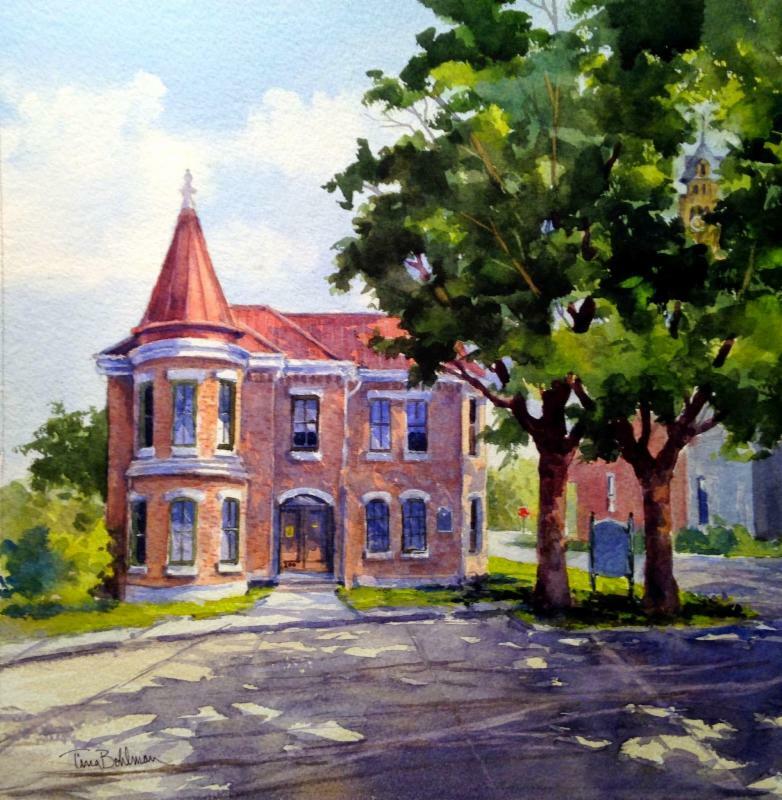 In addition to exhibiting, competition events and taking commissions for her work, she is the founder and chairman of the annual “Paint HistoricWaxahachie”, a plein air event that showcases more than 50 artists. Her work is collected worldwide; Bohlman originals hang in private and corporate collections in 34 States, Canada, Mexico, United Kingdom, Portugal, Germany, Australia, New Zealand and Republic of Benin, West Africa.